Eli Morrison and his band, The Wolfs, have been yelping, snarling and howling their brand of experimental rock n’ roll for almost 10 years. Morrison, vocalist for The Wolfs, and guitarist Jeremy Smith started the band sometime around 1999, according to Morrison. This raucous pack also includes Charlie Lewis on drums (who also drums for SLC band The Rubes), Shane Asbridge on bass (who plays guitar for SLC’s Vile Blue Shades and Laser Thing) and Jesse Winters, who pounds the electric piano and/or synth keys (and who has also lent his hands to the Purr Bats). 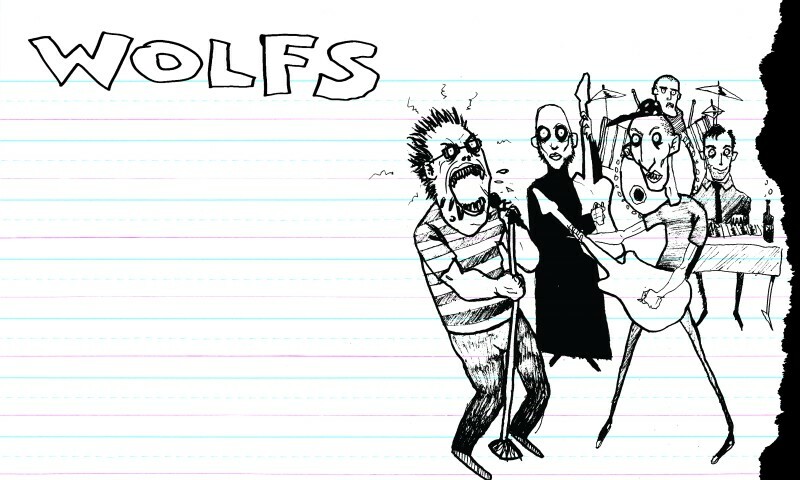 The Wolfs infuse the sound of 60s and 70s rock music with an experimental element thrown in the mix. “When Are You Experienced? came out,” said Morrison, “It was a new sound and nobody had ever heard anything like it since, so we thought, ‘What if we tried not to emulate or copy this, but take inspiration from its timelessness, its incredible depth, character, emotion and soul?’ We pick some of the timelessness of a garage/punk/rock n’ roll sound and re-inject it with an experimental aesthetic.” Morrison’s vocals are on a mantle of their own and have been described by others as screams and hisses from a man possessed. Watching him perform is like observing someone having an out-of-body experience. 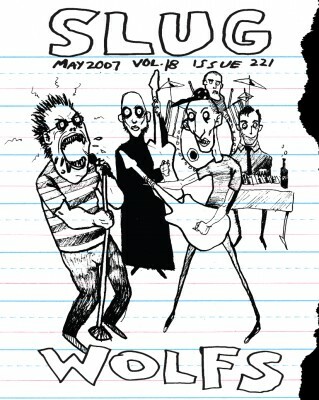 Come April 28, or just after, The Wolfs will release their 9th and 10th titles, Awful, Offal and The Death Theme. The first will contain live recordings, radio sessions and outtakes. The second will be packed with two new studio versions of the song, an epic 30 minute version from a show at the Urban Lounge and a “secret surprise.” A vinyl LP full length is also in the works to be released sometime in the fall. SLUG Magazine is helping give The Wolfs a go at some out-of-state touring to support the upcoming releases (and the SLC local scene) at the Hyperactive Festival in Albuquerque, NM on May 20.